It's also something that, by all rights, should never be touched again. Before we put this on, the very notion of a sequel didn't just feel unnecessary: it was blasphemous. And the title didn't exactly instill me with confidence, either. But I'll be damned if I didn't love it. The special opens in the fall with a single mother arriving at a new house with her son and his dog. Like the original, there's no dialogue, just animation, music, and sound effects. Fortunately, that's not all they've taken: once again, this is made by people who understand what the medium can accomplish. The movement and music betrays a wealth of information. The boy loves the dog, and the dog loves the boy. But the dog is old and sick. They convey this subtlety but clearly. There's no whimpering or coughing. But he needs help getting out of the moving truck. The boy rolls a ball to him instead of throwing it. There's a slight limp in his walk as he goes over to collect it. He's not unhappy - his tail wags as he enters the house - but he clearly doesn't have long. It's not at all surprising that the next scene, set a month or so later, shows the boy and his mother burying the dog. This attention to character is what makes the special work. The characters feel like living beings, and that holds true for the titular characters, as well. 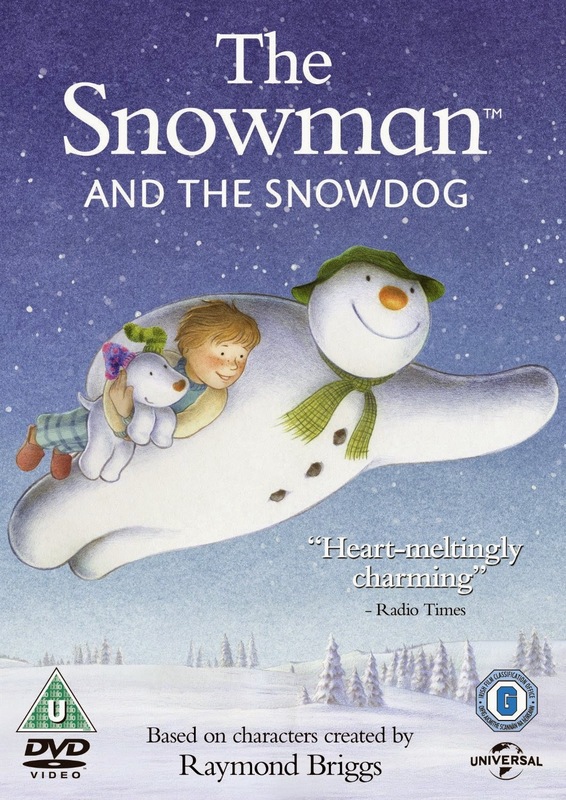 When the Snowdog comes alive, his mannerisms are those of a puppy. If you've ever had a dog, you'll understand. The story is almost identical to that of the original. The adventures are slightly different, but structurally, there's very little change. The resolution is even similar, with a few twists. The fact they still managed to find a way to make me feel the ending's punch is particularly impressive. Another twist, a little magic, and a heavy price await. There's a great deal to like here. The special's run time sped by - when it ended, I would have sworn it was fifteen minutes, at most. It was a full twenty-four. I enjoyed the music for the most part, though the pop song accompanying the flight sequence was a bit of a letdown. I kind of feel for whoever had to choose something there, though. I'm not sure anything could have lived up to those expectations. While this clearly wasn't on the same level as The Snowman, I thought it was a phenomenal tribute. If you're a fan, I wholeheartedly giving this one a chance, too. I can't promise your experience won't be closer to Lindsay's, but I think it's worth the risk.